The Best Twitter Promotion Tips From Twitter's "Playbook for Agencies"
What Is Social Proof, And Why’s It So Important To Twitter? 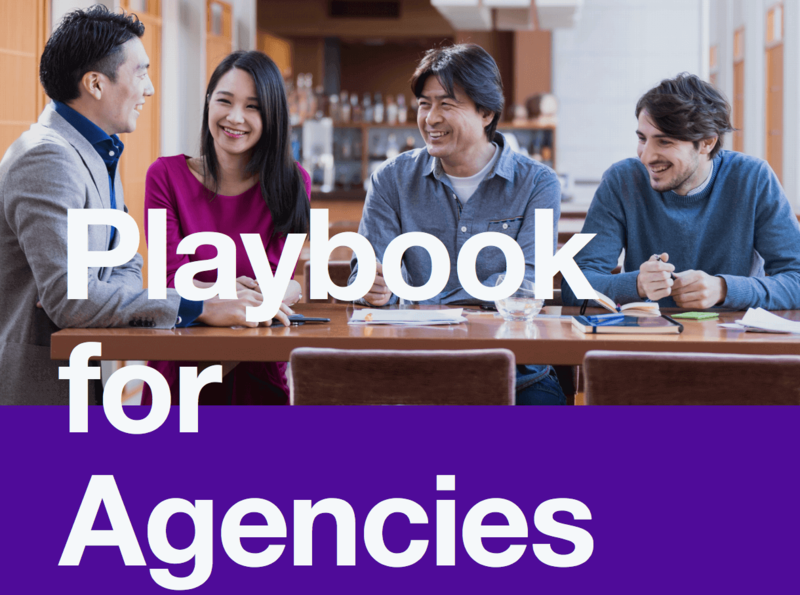 Twitter has just released its new “Playbook for Agencies” guide, which contains a host of handy advertising recommendations and tips. Let’s take a peek at what the guide has to offer and learn how you can use these strategies to enhance your tweet campaigns. The guide starts off pointing out that while organic marketing is important, paid campaigns have a significant impact on your Twitter success as well. It noted that many of the brands that have gained a large organic growth on the platform often have large Twitter ads budgets to back up their campaigns. Twitter recommends doing a followers campaign to start your marketing efforts. By running an active followers campaign, you attract a stream of initial followers. This draws the attention of more potential followers, amplifying your organic campaign. Besides the followers campaign, the guide gives an overview of the other paid campaign types that Twitter offers. You can launch as many campaigns as you need to fulfill your overall marketing goals. An aspect of this ad spend can, in my opinion, be spending on a Twitter follower provider to get a boost before your paid Twitter campaign. This will make you look like you’re already successful, and increase the effectiveness of the much larger ad spend for a Twitter campaign. It’s no surprise that Twitter is pushing its paid advertising options in their own guide as it’s where they get most of their earnings. The playbook still advises that you should carefully plan how you use your Twitter advertising budget. Instead of putting your entire budget into promoting all your tweets, Twitter recommends that you promote the most engaging tweets you have. The site adds that you don’t necessarily have to promote these tweets for a long time. Even a short promotion can give a powerful tweet like this one enough momentum to attract the attention of the right audience. Conversation: Use polls, questions, and Twitter’s Direct Messaging platform to create a feedback channel for your customers. Control: With its real-time nature, Twitter is great for doing announcements of your products, promos, or any latest development around your brand. Back talks: You can use Twitter to further build your brand persona by adding elements of humor, wit, and entertainment. By defining a clear role for the platform, you will be able to more effectively plan your Twitter campaign. Wendy’s uses Twitter to establish a distinct brand identity online with its humorous tweets.
.@McDonalds So you’ll still use frozen beef in MOST of your burgers in ALL of your restaurants? Asking for a friend. The Twitter Playbook for Agencies also breaks down the process of building an effective Twitter campaign. It notes that everything begins with understanding your audience better. The Audience tab on your Twitter Analytics page will give you plenty of useful information about the people following you. By incorporating this information into your Twitter campaign, you can better connect with the audience reading your tweets. What makes a good tweet? Tweets published between 12 PM and 10 PM local time get greater engagements. Monday is the most popular day to tweet. The optimal number of hashtags to add in your tweets are 1-2. This will double your engagements. Adding GIFs will increase your engagements by up to 55%. Interestingly, only 2% of tweets include GIFs. Promoted tweets with videos can save you up to 50% on cost-per-engagement. Adding videos to your tweets, in general, can increase engagements up to 10 times. If you are a marketing agency, these stats will be useful for convincing your clients that Twitter is a worthwhile platform to invest in. Old Spice seemingly follows these tips closely, as demonstrated by their engaging tweets. Add video subtitles: Including subtitles in your video tweets will make them better suited for mobile viewing where people might not always have their headphones on. Make your branding visible: Add your logo to media content or use the brand color scheme to better establish your identity to the audience. Be open: Try audience targeting options and interests that are a bit outside your main campaign focus. You can discover new audiences that resonate with your messages. Emphasize urgency: Phrases like “today only,” seen below, “Start now,” and “only a few items left” leverage Twitter’s real-time nature to encourage your followers to respond immediately. Do continuous experiments to see which of these tips deliver the best results to your campaign and improve on them further. The site advises that you check a newly-launched campaign every few days. This will give you more time to review and revise your current strategies. Twitter notes that many brands and users often focus heavily on gaining more followers without considering who they follow themselves. The site says that taking time to look for interesting accounts to follow and develop your home timeline will make it easier to curate additional content to supplement your original tweets. Create additional value: Sharing information from other people will make your account more useful in the eyes of your followers. Save time: Retweeting frees you from taking too much time to create original content, letting you focus more on engaging followers. Build relationships: Retweeting other accounts establishes a positive relationship with them, giving you new promotional channels. By carefully choosing the accounts to follow and retweet, you gain more of these benefits and give your promotional efforts a boost. The tips highlighted here are just part of the large collection of promotional tips included in the Twitter Playbook for Agencies. Whether you are part of an agency dealing with Twitter marketing, or handling your own brand promotion, this guide is definitely a must-have. Check it out and discover how you can use it to maximize your Twitter campaign’s performance. © 2019 BTFR. All Rights Reserved.